Be Clear on Cancer is a cancer awareness campaign led by Public Health England, working in partnership with the Department of Health and NHS England. 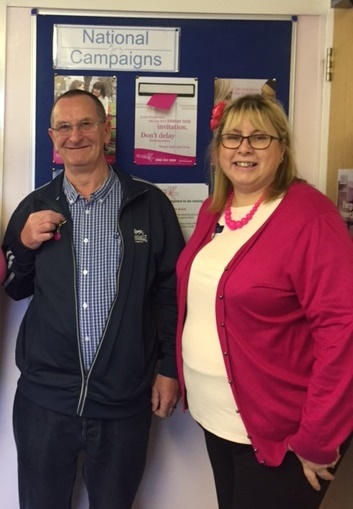 On the 4th April it will be the 10th anniversary of the Winsley Health Centre opening the dispensary. This important addition to the Health Centre gives our patients who live in Winsley and the surrounding villages a convenient and friendly way to obtain their prescriptions. Please join us in celebrating this event with fun competitions being run. 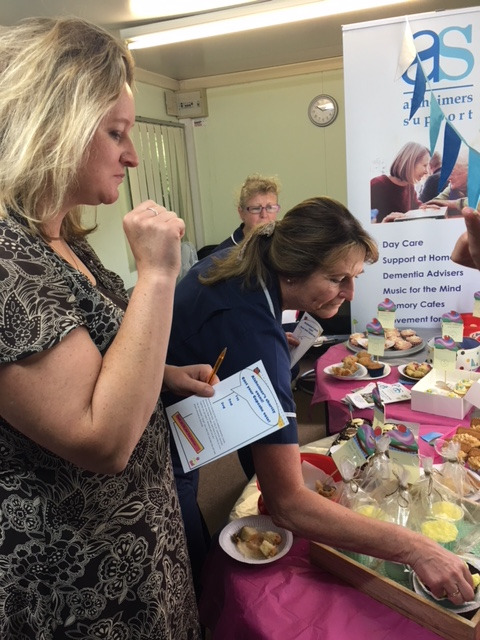 Come in between 3rd and 11th April and try to win a prize by guessing the name of the Winsley teddy who has been observing proceedings in the dispensary since it opened or guess the Doctors/staff baby photos. All donations will go towards the Winsley village Defib fund. 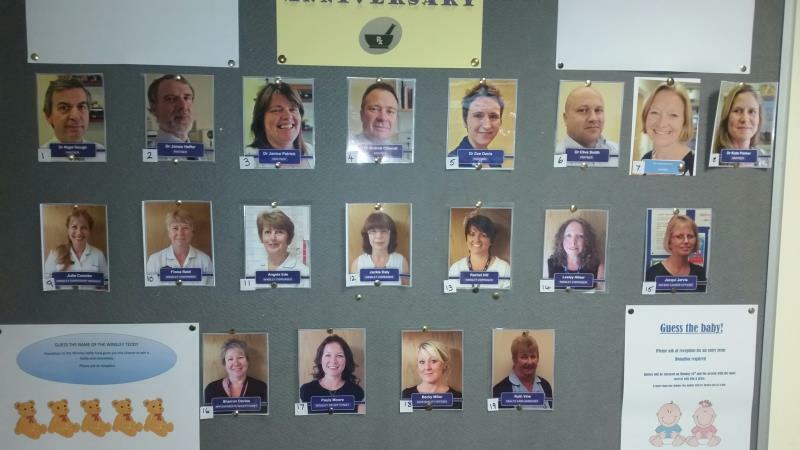 There will also be past and present dispensary focused displays on the noticeboards for the month of April. The partners and staff would like to thank you for your support over the last 10 years, as this facility wouldn’t be here if it wasn’t for you. The trust has generously given us charity pins and trolley tokens for patients and staff to purchase throughout the month. 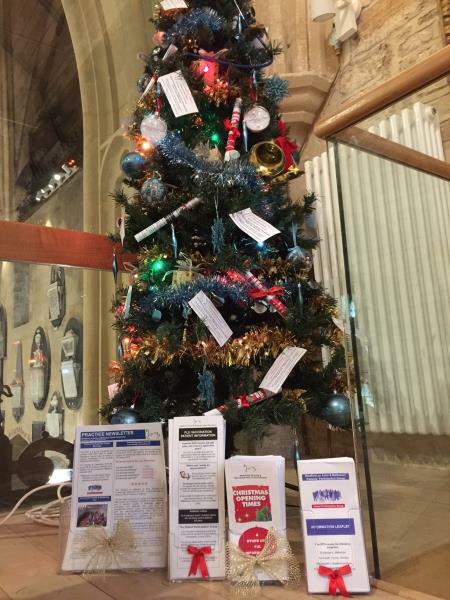 The Practice has staged a tree in the Friends of Holy Trinity Christmas Tree Festival which is taking place from 6th-11th December in the newly renovated Holy Trinity Church in the centre of Bradford on Avon. 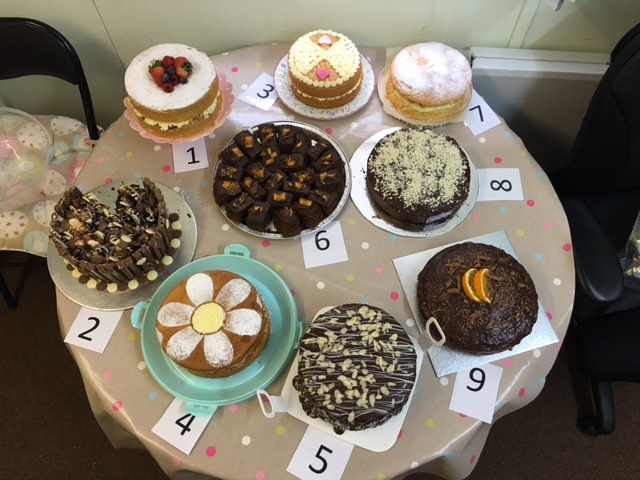 Well done to all 9 bakers who did a really superb job - see attached! 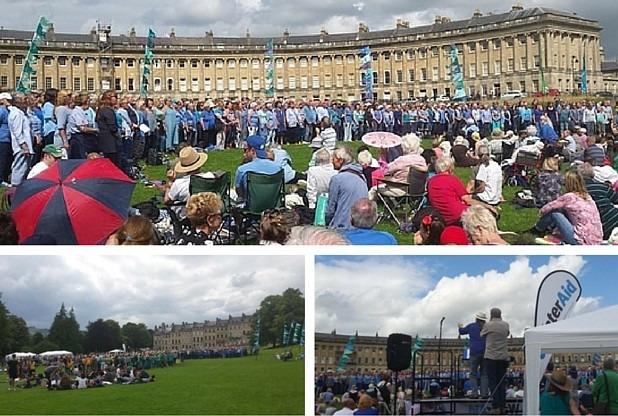 On Sunday 10th July 2016 Anne Hayward a member of the receptionist team, will be taking part in THE BIG SING at 3pm in Victoria Park, Bath (in front of the Royal Crescent). 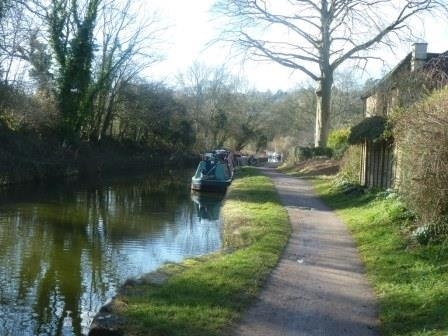 Anne will be singing along with the Wiltshire Wailers "fun" choir that she attends in Bradford on Avon. It is a free event and everyone is welcome to come and watch. 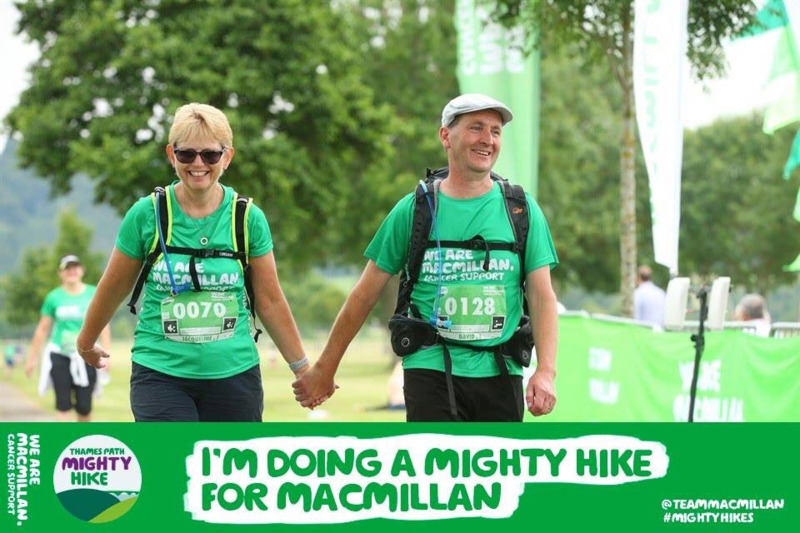 However, if you feel you would like to sponsor this event, there is JustGiving page for The Wiltshire Wailers: https://www.justgiving.com/Lisa-Samuel. There will also be volunteers collecting money for WaterAid on the day. Thanks to everyone who purchased a poppy!" 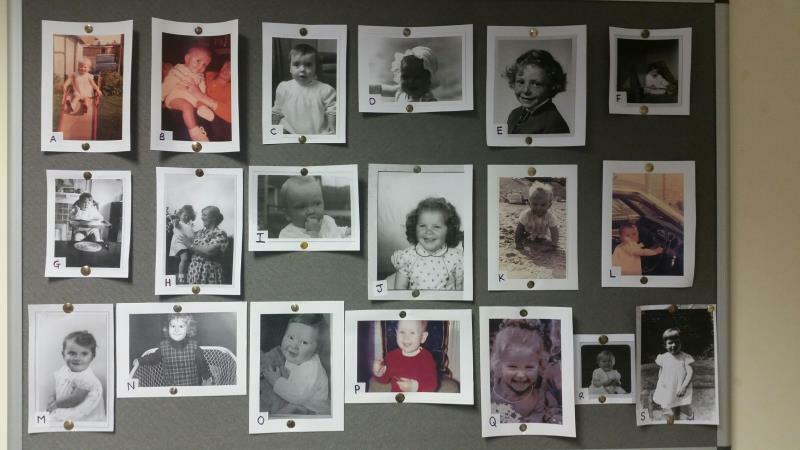 Donations for Team BoA have now reached an amazing £11,877. Day 1 Ride Moshi to Olpopongi was 53 miles, with a 2,525ft elevation gain and was rough, rocky, and a mix of off road and tarmac. Rode through thick deep mud, bikes were getting stuck, people were falling off and it finally got so dark we had to be escorted by one of our minibuses to the Maasai camp where we were staying. Day 2 Took us to Arusha, riding on horrendous rocky roads, extremely hot (44c) and an elevation gain of 2,666ft and 52 miles. We finished our day Cycling onto the bustling town of Arusha. Day 3 Took us to Zion camp near Tarangire national park, longest ride of the week - 66.2 miles - but fast roads and fabulous riding - morale lifted and everyone happy again! Visited a Maasai school where we delivered 3 big sacks of gifts donated by all of us - pens, pencils toothbrushes, school bags etc. The children sang for us and then we sang the hokey cokey, which they loved, and we had to keep singing it while they copied us! Day 4 cycled to Lake Manyara National Park, straight fast road, 50 miles, elevation gain of just 743ft.This morning’s cycle was on smooth tarmac roads until lunchtime and then we came off road which took us pass cotton fields and sugar cane and rice fields. As we entered deeper into the Rift Valley we passed several small villages and the roads became a lot bumpier with lots of deep sand !!! We then eventually took a bus ride to our lodge. Day 5 Mto Wa Mbu - Ngorongoro Crater - just the 27.7 miles today but an elevation gain of 4,444ft! It was very tough, but amazing and the finish was just an extraordinary experience and I wouldn’t have missed it for anything. In total we rode 250 miles (400 kms) and the total elevation gain was 12,342 ft. Only 20 of us out of 85 cycled the entire 250 miles. Total raised so far by our group (3 more groups to ride) is £275,000 and in total over 5 years Women v Cancer has raised £6.5 million. Whilst we were riding for 5 days 800 women would have been diagnosed with one of the 3 cancers that we are raising funds for. Thank you all for support and generosity. 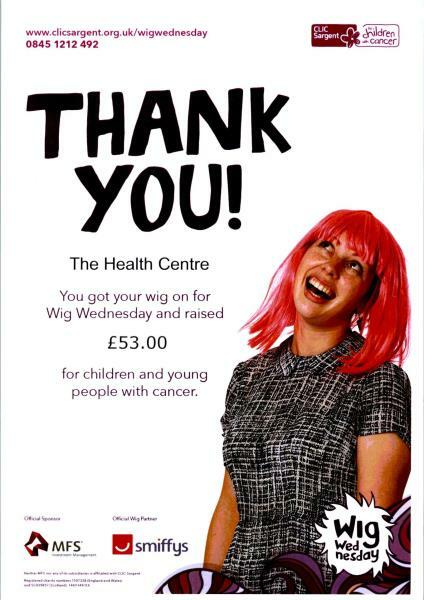 The Practice would like to thank all the patients and staff who donated to Wigs on for Wednesday the funds raised will help support children and young people with cancer across the UK. 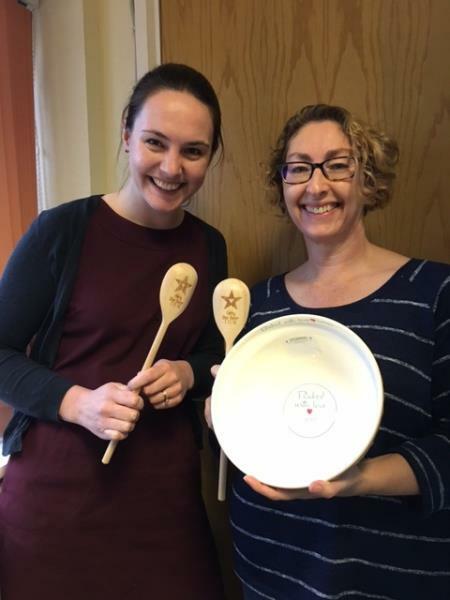 Amanda Brookes (Business Manager) and Anne Shilston (Integrated Team Leader) are supporting Alzheimer's 25th Anniversary by walking 9 miles from Bath to Bradford on Avon. If you are happy to provide sponsorship, please complete the feedback form here and they will be in touch. 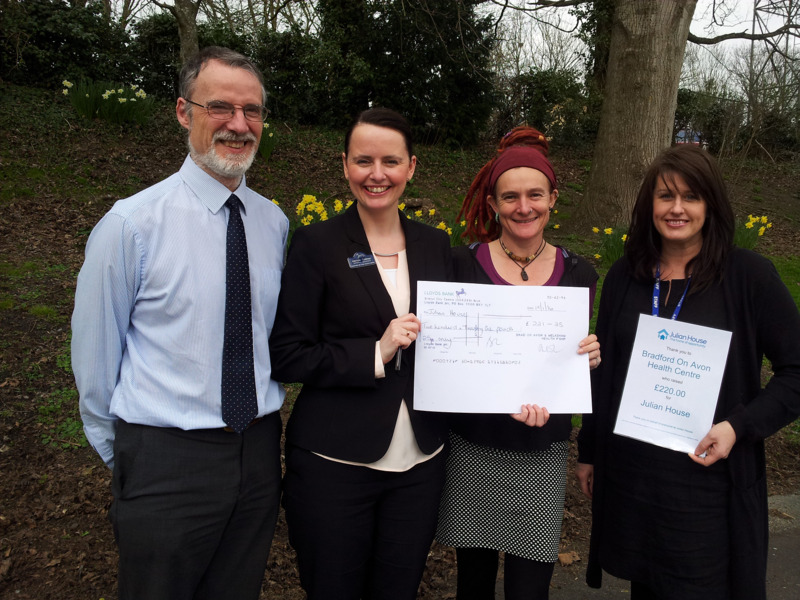 Five Practice staff members took taking part in a swimathon 5K team challenge on Saturday 18th April 2015 at 3pm (Trowbridge swimming pool) and swim 40 lengths of 25m swimming pool in relay format and within a certain time. The girls raised over £1,200 for Marie Curie Cancer Care. 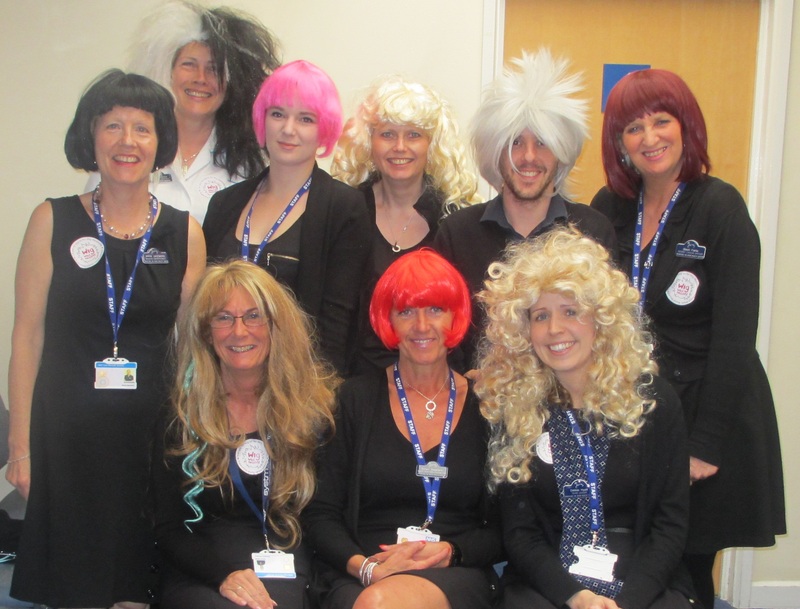 BOA Water Babes would like to thank everyone who supported them on their amazing time taking part in the Swimathon. 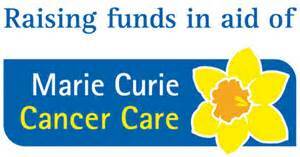 St Margaret's Surgery would like to thank everyone who contributed to the Marie Curie Cancer Care collection tin throughtout 2014. The money you rasied will help nurses care for more terminally ill people in their own homes. 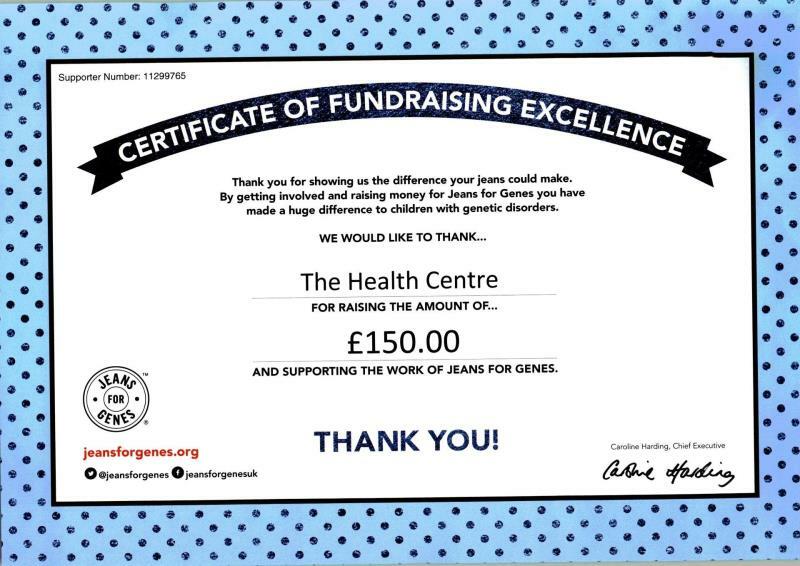 On Friday 19th September 2014, the Practice took part in the National Campaign, Jeans for Genes Day. The staff made a donation to wear Jeans to work on this day. 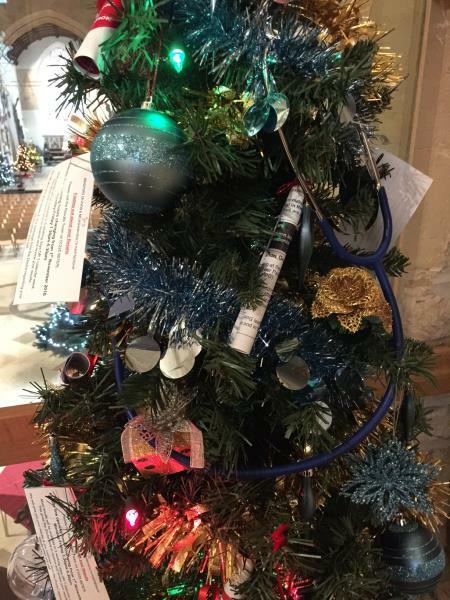 Donation boxes were made available at reception for patients and as part of the fundraising, 'SpongeBob Squarepants' trolley keys were available to buy at Reception for £2 each. We would like to thank the staff and patients for making this day a success. 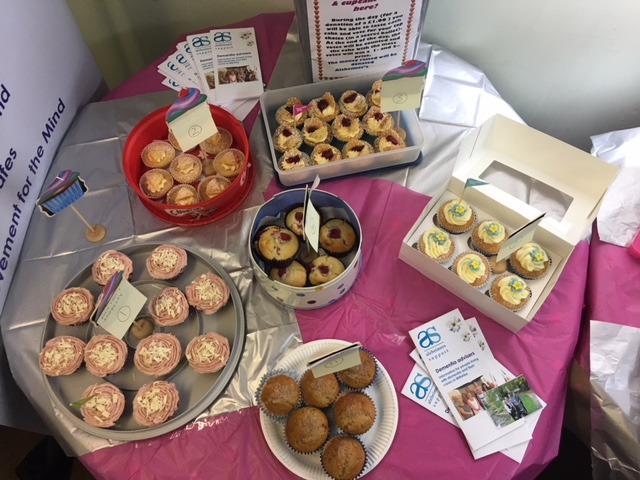 On 29th September 2014, our Medical Receptionist Steph made cakes for the staff to make a donation to Macmillan for the fundraising event "World's Biggest Coffee Morning". 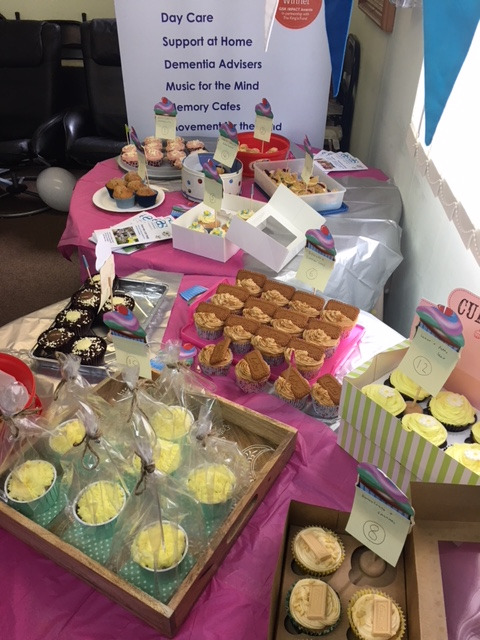 We are proud to say that the staff raised £50 for this event.